After breakfast, we leave for Kaunas. En route we will stop in Ziezmariai to look at the old wooden synagogue. Afterward, continue to the Ninth Fort Museum where thousands of Jewish people were killed here during the World War II. Arrival to Kaunas - second-largest Lithuanian city. 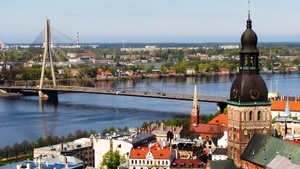 Kaunas used to be the capital of Lithuanian between two world wars. During the sightseeing tour of Kaunas Old Town, you will see the Town Hall Square, Cathedral and Perkunas House. 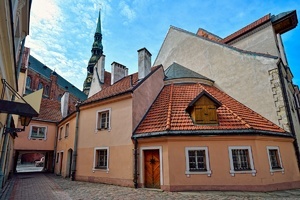 The Jewish Heritage landmarks include the former Kaunas Jewish ghetto and Kaunas Choral Synagogue and Children's Memorial. Learn about the Japanese diplomat Chiune Sugihara who saved around 6000 Jewish people during Holocaust and the story of a Jewish girl from Kaunas, Leah’s Goldberg. Overnight in Kaunas (B). Morning departure to Lithuania's favorite SPA resort Druskininkai with a stop at Valkininkai and Degsnes towns where we learn about the life and traditions of the Lithuanian Jews. In the 18th century, Valkininkai had one of the outstanding synagogues in Lithuania, the so-called Lita Synagogue. 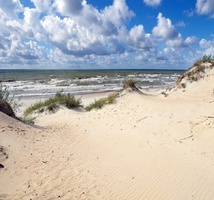 Lithuanian Vaad has convened in Valkininkai. Degsnes - is a former Jewish farmer’s village. Alongside with farming the land, the Jewish residents of Degsnes were providing care for people with mental disabilities. Later this occupation became the primary source of income for most of the village inhabitants. Continue to Lithuanian resort – Druskininkai, a birthplace of a world famous sculptor Jacque Lipchitz whose father opened one of the first resort hotels in Druskininkai. Free afternoon to relax in SPA or Druskininkai Aquapark (reservations required). Return to Vilnius in the evening.